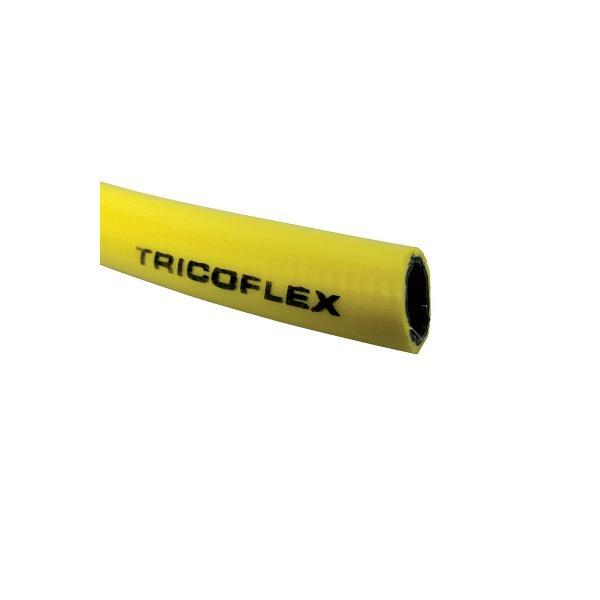 Cut length of Professional Yellow Tricoflex PVC braided hose for general purpose and irrigation use. 10 bar up to 3/4", 1" - 2" @ 8 bar. Priced per metre cut length, see below for complete coils. Note: If you order more than one metre it will be supplied as a continuous length. Professional Tricoflex PVC braided hose for general purpose and irrigation use. Priced per full 25m coil. Professional Tricoflex PVC braided hose for general purpose and irrigation use. Priced per full 50m coil. Professional Tricoflex PVC braided hose for general purpose and irrigation use. Priced per full 100m coil.